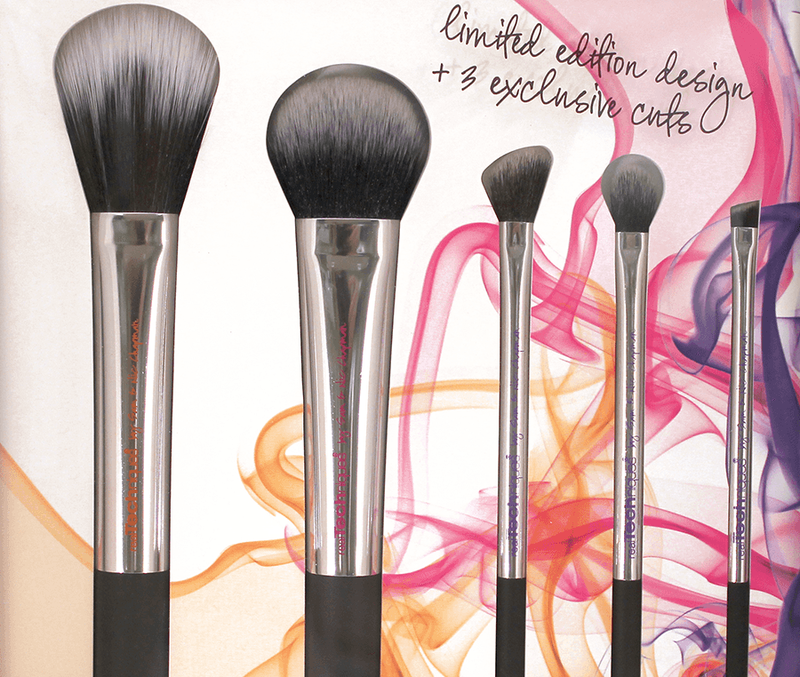 Real Techniques Nic's Picks limited edition brush set, designed to create the perfect finish.The set includes a collection of five Nic's brushes, including three exclusive brushes.Just like all Real Techniques brushes, the set is completely cruelty free using Taklon bristles and all five brushes have been hand cut for precision. The brushes all feature a limited edition design of sparkly silver chrome instead of the usual yellow, pink and purple handles.With their ultra plush bristles these brushes will give a pixel perfect look in any type of light- from sunlight to harsh indoor lighting. - Duo-fiber face brush: for lightweight application + blending of face powder or pigments. 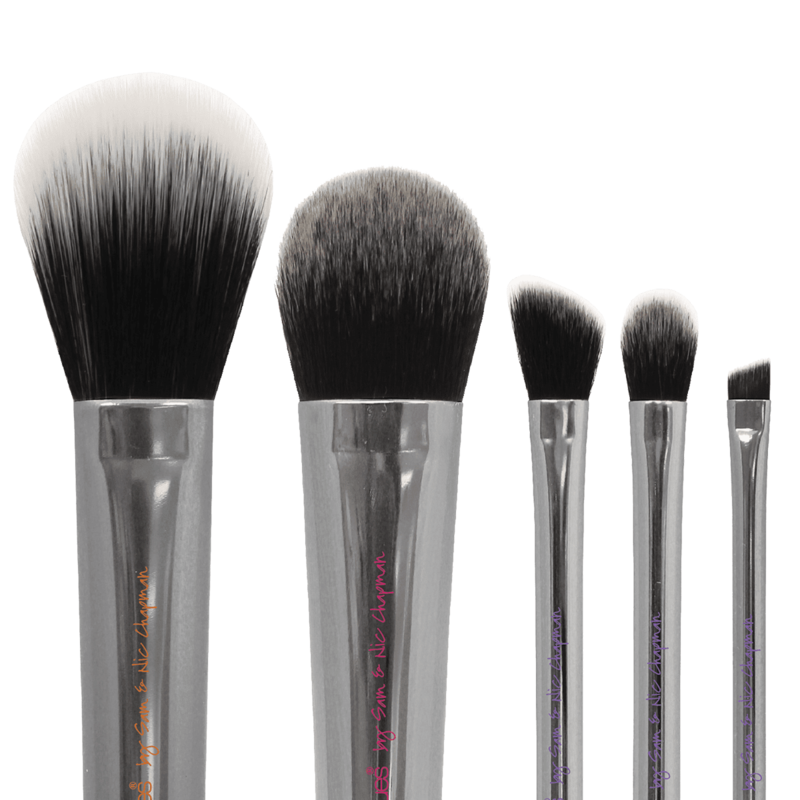 - Cheek brush (set exclusive): evenly applies makeup across cheekbone for a more dramatic finish. - Angled shadow brush (set exclusive): perfectly cut for layering eye shadow in the crease. - Base shadow brush: applies a smooth, flawless foundation of color. - Eyeliner brush (set exclusive): firm, angled head for optimal control along lash line.